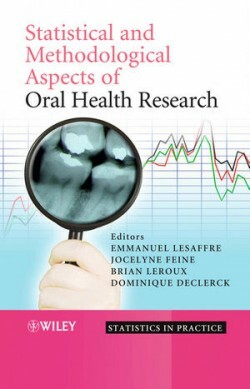 Statistical and Methodological Aspects of Oral Health Research provides oral health researchers with an overview of the methodological aspects that are important in planning, conducting and analyzing their research projects whilst also providing biostatisticians with an idea of the statistical problems that arise when tackling oral health research questions.This collection presents critical reflections on oral health research and offers advice on practical aspects of setting up research whilst introducing the reader to basic as well as advanced statistical methodology. An introduction to research methodology and an exposition of the state of the art. A variety of examples from oral health research. Contributions from well-known oral health researchers, epidemiologists and biostatisticians, all of whom have rich experience in this area. Recent developments in statistical methodology prompted by a variety of dental applications. Presenting both an introduction to research methodology and an exposition of the latest advances in oral health research, this book will appeal both beginning and experienced oral health researchers as well as biostatisticians and epidemiologists.